Enric Olivé during his presentation at the International Peace Conference organised by the permanent delegation of the Ivory Coast at the headquarters of UNESCO in Paris. On 17 September, the director of the UNESCO Chair for Mediterranean Intercultural Dialogue and URV professor, Enric Olivé, spoke at the International Peace Conference organised by the permanent delegation of the Ivory Coast at the headquarters of UNESCO in Paris, under the title “Intercultural and Inter-religious Dialogue for a World of Peace, Harmony and Tolerance”. Olivé analysed the factors have led to the breakdown of social harmony and the imbalance between nations and continents, stating that “in the 21st century, tolerance and social harmony have gone hand-in-hand with the negation of spirituality and an increase in intolerant secularity”. In contrast, “second and third generations of migrants have a rich religious culture that is not always supported by a profound knowledge of their own religious tradition, which makes them ideal targets for unscrupulous preachers seeking to use them for their own jihad”, stated Olivé. He went on to assert that “the problem lies in the contempt in which society, families and schools hold religion and spirituality”. For this reason, during his presentation he proposed that “if we want our young people to be strong, in particular the second and third generations of immigrants from the Muslim world, then as a society we must accept that we have to provide them with religious and spiritual education”. He concluded that comprehensive education that included religious culture “will help vaccinate young people against the hatred espoused by these false prophets. 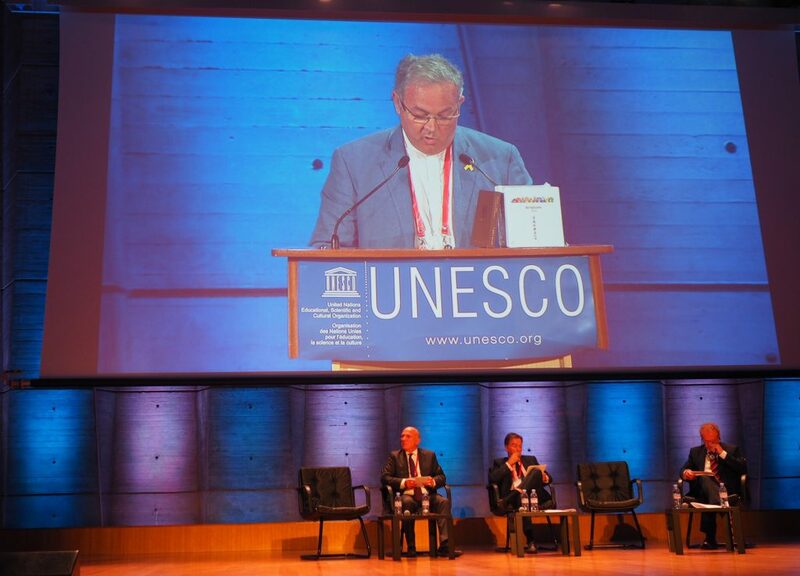 The conference was held in Paris and was attended by the heads of UNESCO Chairs in various countries and by religious leaders. The organiser will create a steering committee to present a document on the strengthening of ethics in education to the member states of UNESCO.